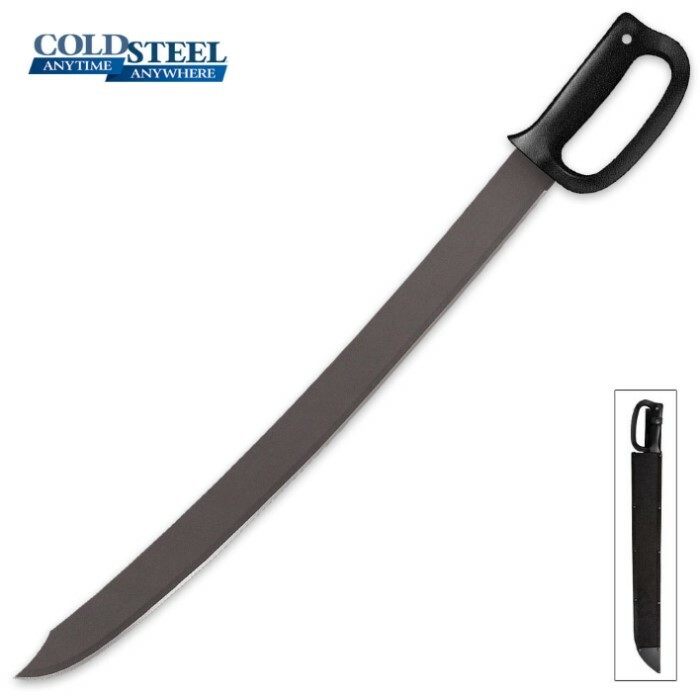 Inspired by their 1917 Cutlass, Cold Steel's Cutlass Machete is crafted of 1055 carbon steel with a black baked on anti-rust matte finish. 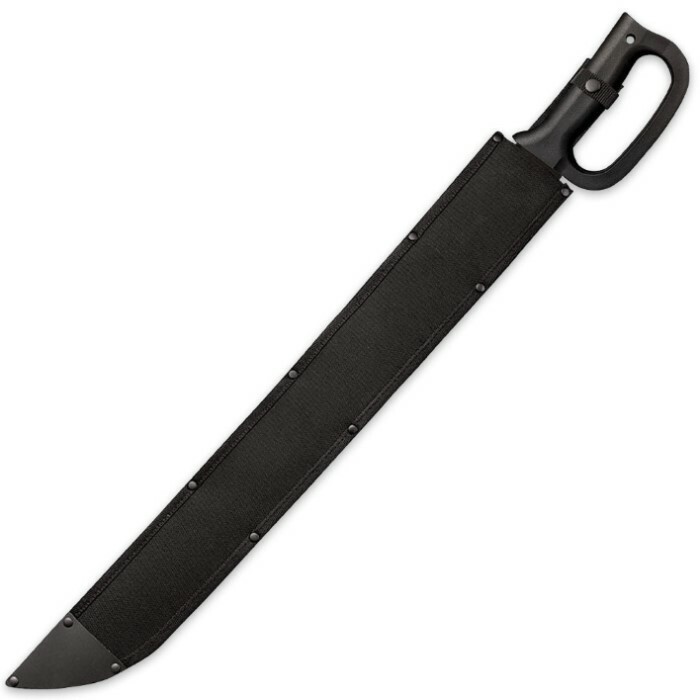 An ergonomic polypropylene handle sits above the 24” cut and thrust blade and it will serve you for years and years. A Cor-Ex sheath completes the package. Whether you are on land or sea, this machete will get the job done!